Shop Retiring Products While Supplies Last! It's that time of year again when Stampin' Up! issues the lists of retiring product. It is your last chance to get some of the fabulous product that they are moving out of their inventory. 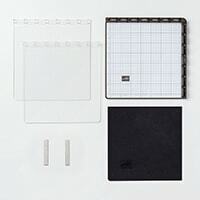 These lists contain items from both the 2019 Occasions Catalog and the 2018–2019 Annual Catalog. 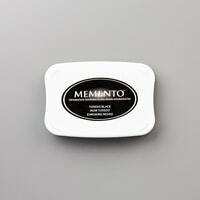 Because the products are available until June 3, 2019, or while supplies last, you won't want to wait to order as some items will sell out quickly. 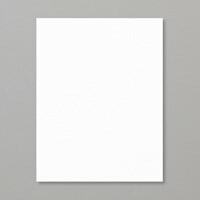 If you would like to be able to go through your catalog page by page, click on the links below to print out the lists. STAMP CAMP: Saturday Morning, May 18th at 10:00 a.m.
Todays' card is a very simple yet beautiful card declaring a special friendship. It uses the Country Floral Dyamic Embossing Folder which you may have gotten as your free Sale-a-bration item recently. If not, don't worry,we've been told it will be in the new 2019-20 Stampin' Up! Annual Catalog. 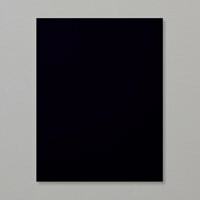 Cut a piece of 4” x 5-1/4” Basic Black card stock and adhere to the front of the card. 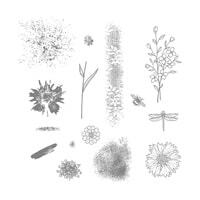 Emboss a piece of 3-3/4” x 5” Whisper White card stock and emboss with the Country Floral Dynamic Embossing Folder (available after June 1). Adhere a piece off 2” x 3-3/4” Botanical Butterfly Designer Series Paper to the embossed card stock. Adhere to the front of the card. Stamp a piece of Whisper White oval that has been cut out using the Wonderful Floral Framelits Dies with the “the world needs more people like you” from the Part of My Story (retired) stamp set with Tuxedo Black Memento Ink. Adhere to the front of the card with Stampin’ Dimensionals. Product List: Click on the image(s) below for more information or to place an order through my Stampin' Up! Online Store. This is Stamp Camp Week! Please RSVP today! This is Stamp Camp Week and I will be teaching a class this Saturday morning, April 13th at 10:00 a.m. We will be making some cute spring projects. I will also have a gift for everyone who will be attending--a laminated cutting sheet to help you get the most out of your card stock. I do try to keep my class size small so please sign up today to reserve your place. For more information or to sign up, contact me at stamping@karenhaden.com. 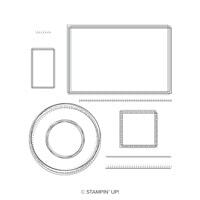 For all you crafters who love needlework this is the perfect stamp set for you. This card uses the Needle & Thread Stamp Set, along with the Needlepoint Elements Framelits Dies, which can be found in the Stampin' Up! Occasions Catalog. It is such a pretty card and can be used for just about any occasion, not just a get well card! Cut a piece of 4” x 5-1/4” Whisper White card stock and stamp the swirls image from the Needle & Thread stamp set in Balmy Blue ink along the right edge. 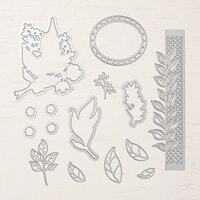 Emboss the stamped card stock with the flower and leaf die from the Needlepoint Elements Framelits Die. Adhere card stock to the front of the card. Layer a piece of 5” x 1-3/4” and a piece of 4” x 1” Night of Navy with a piece of 4-3/4” x 1-1/3” and a piece of 3-3/4” x 3/4” Needlepoint Nook Designer Series Paper. Adhere to the front of the card. Stamp a piece of Whisper White card stock with the leaves stamp in Balmy Blue and the solid flower image in Night of Navy and them out using the Needlepoint Elements Framelits Die. Layer the flower on top of the leaves. Cut out a few Whisper White and Night of Navy leaves and adhere behind stamped flower. Adhere to the front of the card. Cut out a Whisper White label using the Needlepoint Elements Framelits Die and stamp “Get Well Soon.” Add to front of the card using Stampin’ Dimensionals. 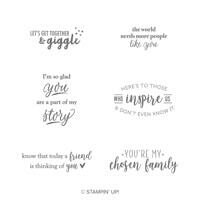 I am so excited to let you know that on April 1st, Stampin' Up! 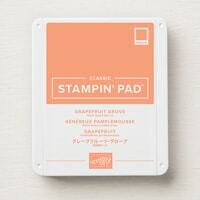 is launching a new product line called Storage by Stampin’ Up! Whether you have an entire room or a small corner in your home for stamping, this new lineup of modular storage solutions will let you organize—and customize—your space your way! Stacks vertically and can be arranged to fit practically any flat work space. 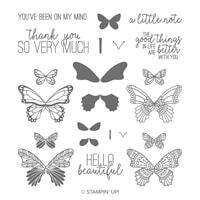 Be sure to visit my Stampin' Up! Online Store on April 1st to place your order and start organizing your crafting area! Today's card features the Touches of Texture stamp set from the Stampin' Up! 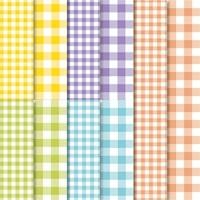 Annual Catalog and the Gingham Gala 6" x 6" Designer Series Paper. This is such a great friendship card! Stamp the top of a piece of 5-1/4” x 4” Whisper White card stock with the lacy image from the Touches of Texture stamp set in Grapefruit Grove ink. Stamp the card stock with the line image of the flower in Soft Suede ink. Stamp the solid image of the flower in Grapefruit Grove ink over the line image. Stamp two flowers. Stamp the bumblebee in Soft Suede ink between the flowers. Color the bee in with a Daffodil Delight Stampin’ Marker. Emboss the stamped card stock with the Subtle Dynamic Folder. Stamp a 4” x 1-3/4” strip of Gingham Gala 6” x 6” Designer Series Paper with the “know that today a friend is thinking of you” from the FREE Sale-a-bration Part of My Story stamp set in Soft Suede ink. Tie a piece of Linen Thread around it. Adhere to the stamped card stock. Adhere stamped card stock to the front of the card base. Some of the product used for this card: Click on the image(s) below for more information or to order from my Stampin' Up! Online Store today. More FREE Sale-a-bration Items Added -- Get Yours Today! Stampin' Up! 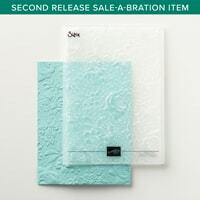 now has some new coordinating items to go with your Sale-a-Bration (SAB) items. These coordinating products are available now through March 31st while supplies last. 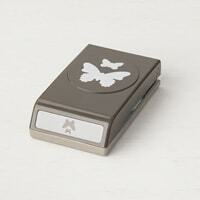 They are going fast (the Hop Along Framelits Dies sold out in less than 9 days!) so be sure to place your order today through my Stampin' Up! Online Store today! 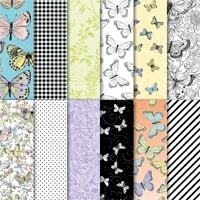 AND new Sale-a-Bration selections from the current catalog have been added. Also, the Painted Seasons Designer Series Paper can be ordered alone, so you can keep on creating after your first pack from the bundle is gone.